You imported the main demo content or an Artisan Site into your website. Now, what's the procedure in order to edit its content? 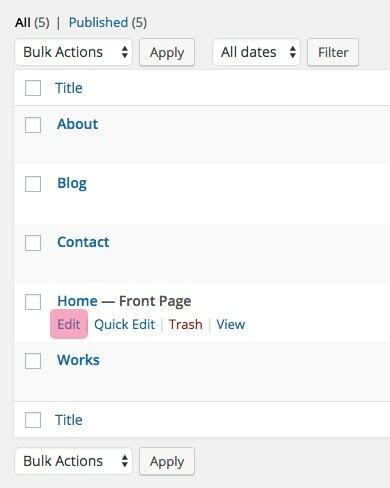 Let’s say you want to edit the contents of your homepage. Go to that page in your dashboard (Pages » All Pages) and click “Edit” (you’ll recognize the homepage because of the “Front Page” comment it has on the side). You’ll see the list of modules that are being used in that page. Next to each module there’s a pencil icon, if you click on it it’ll take you to edit that specific module. 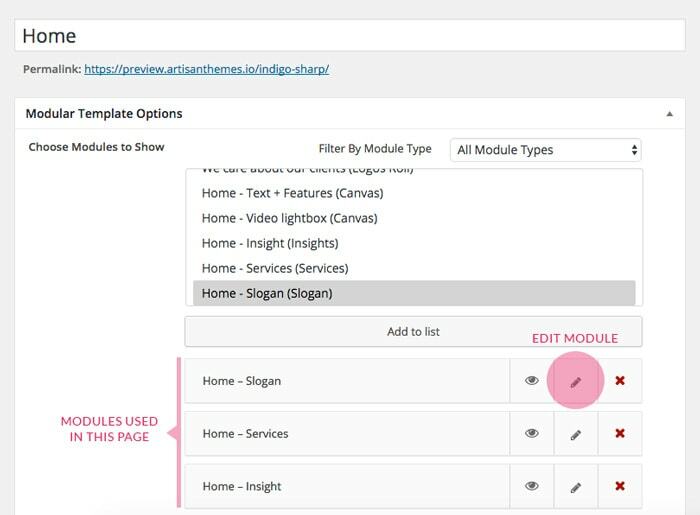 Now you can go module by module on your homepage and edit each one’s content. And then, do the same with the rest of your pages.